Androst-4-ene-3, 17-dione (AD) and androst-1, 4-diene-3, 17-dione (ADD) are generally produced by the biotransformation of phytosterols in Mycobacterium. The AD (D) production increases when the strain has high NAD+/NADH ratio. To enhance the AD (D) production in Mycobacterium neoaurum TCCC 11978 (MNR M3), a rational strategy was developed through overexpression of a gene involved in the phytosterol degradation pathway; NAD+ was generated as well. Proteomic analysis of MNR cultured with and without phytosterols showed that the steroid C27-monooxygenase (Cyp125-3), which performs sequential oxidations of the sterol side chain at the C27 position and has the oxidative cofactor of NAD+ generated, played an important role in the phytosterol biotransformation process of MNR M3. To improve the productivity of AD (D), the cyp125-3 gene was overexpressed in MNR M3. The specific activity of Cyp125-3 in the recombinant strain MNR M3C3 was improved by 22% than that in MNR M3. The NAD+/NADH ratio in MNR M3C3 was 131% higher than that in the parent strain. During phytosterol biotransformation, the conversion of sterols increased from 84 to 96%, and the yield of AD (D) by MNR M3C3 was increased by approximately 18% for 96 h fermentation. This rational strain modification strategy may also be applied to develop strains with important application values for efficient production of cofactor-dependent metabolites. 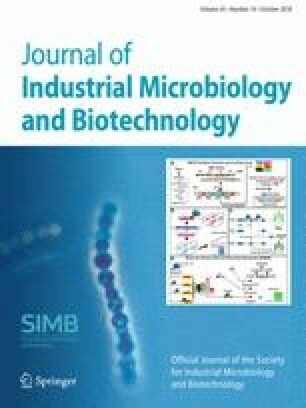 The authors would like to thank the members of the Industrial Fermentation Microbiology Laboratory in the Tianjin University of Science and Technology for their valuable comments and helpful discussions. This work was supported by the Key Project of Chinese Ministry of Education (213004A); the National Natural Science Foundation of China (21276196 and 21406167); Tianjin Municipal Science and Technology Commission (17PTGCCX00190); and Tianjin Programs for Science and Technology Development (15ZCZDSY00510).